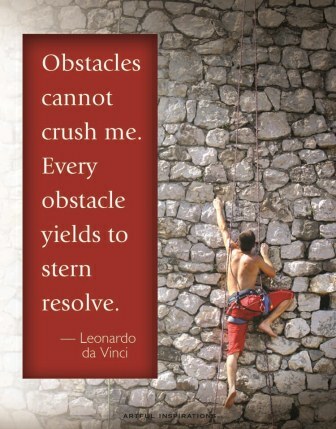 Obstacle or Opportunity: The Mindset Scan | Choose Your Energy: Change Your Life! ← When You Dream Big, You Plant the Seeds of OUR Future! Here’s the secret of people who thrive, whatever their circumstances: they know that obstacles are fear-fueled illusions. Whenever they encounter a person or situation that appears to offer an obstacle, challenge or problem, they shift their perspective and reclaim their power by aligning their energy with pure love and demonstrating curiosity. In so doing, they transcend any troublesome illusions to reveal the opportunities hidden within. Start practicing the mindset today to see your stress decrease while your productivity increases. When, despite your best efforts, you become discouraged because you’ve temporarily forgotten that obstacles are actually opportunities in disguise, a real-time Mindset Scan can help you identify which aspects of your thinking would benefit from recalibration and what form that might take. Below you will find a snapshot of the worksheet used for the scan. In my book, Choose Your Energy: Change Your Life!, I provide a variety of scans to help you recognize when you are out of alignment and get yourself back on track. The Mindset Scan is an additional one I developed after publishing my book. Click here to download a FREE full-size, color version of my Mindset Scan, along with full-size, color versions of all of the other illustrations and scans included in my book. Pay attention so that you notice quickly whenever you’ve started feeling frustrated or pessimistic about your life. Notice your language: a big tip-off is catching yourself referring to people or situations in your life as obstacles, challenges or problems. Invest your energy in assessing the root cause of your pessimism by revealing which aspect or aspects of the mindset you’ve temporarily forgotten due to fear. Determine what baby steps will return you to alignment with truth and reality anchored in love. Assess your results and continuously refine and expand your action plan to live the mindset of generous, effortless, gracious flow filled with faith, hope, prosperity, peace and joy by anchoring yourself in unconditional love, respect, curiosity, compassion and gratitude for every being, encounter and experience in your life. Having gotten honest with myself, if the results of the scan indicate there is something significant to explore but I don’t yet feel able to go deeper, I demonstrate respect and compassion by not forcing myself. I relax into exactly where I am on my journey. Caring enough about myself to notice and explore my pessimism plants the seed for emerging insights. Whenever I invest my energy in conducting the scan, I’ve already taken an additional step toward recognizing unresolved fear inside me and moving myself forward on my personal journey to wholeness. What apparent challenge will you transform into an opportunity today by beginning to approach it with mindfulness, curiosity, perseverance and an attitude of gratitude? Time to shift your perspective, reclaim your power and step into your greatness! This entry was posted in All My Blog Posts, Gratitude, Prosperity & Abundance, Mindfulness, Meditation & Peace, Stress, Perfectionism & Burnout and tagged Deborah Jane Wells, How to de-stress, How to stress less, What is abundance, What is burnout, What is gratitude, What is mindfulness, What is peace, What is perfectionism, What is prosperity, What is stress, What is stress management. Bookmark the permalink.